This Auto Loader for Twist Conveyor Systems comes as a complete kit and installs quickly on any tunnel utilizing a twist style conveyor within the tunnel. 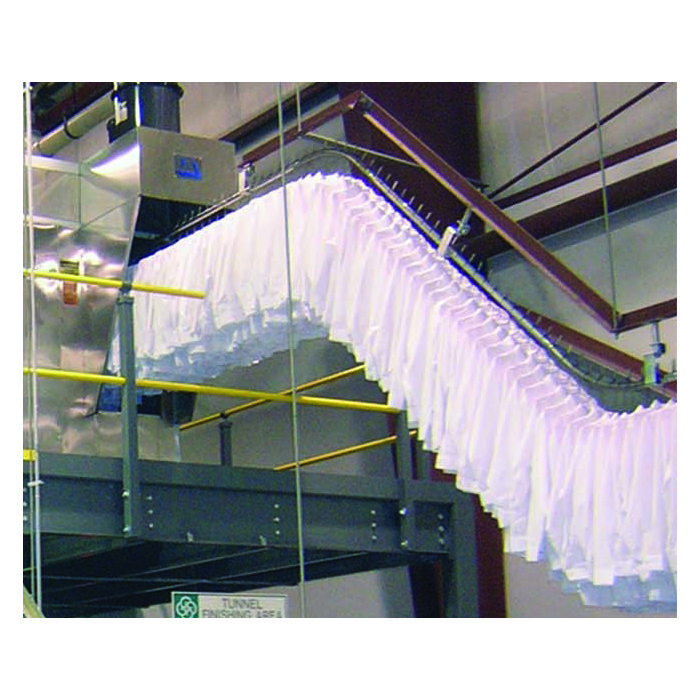 A four foot stainless steel “buffer” zone can hold up to 50 garments at a time. Simply fill the loader with garments and walk away, freeing up the operator. Simple to maintain, the auto-loader requires little adjustment after the initial set-up. The Auto Loader for Twist Conveyor Systems comes with a standard variable speed DC drive. The desired rotational speed of the auto-loader is simply dialed in at the control panel. The loader is able to maintain production rates up to 500 garments per hour. In the same manner, varied conveyor spacing is achievable as well. A typical 110 volt electrical connection is all that is needed to power this add on.